Explore all the different tips and tricks to sip, slice, and slurp your whole watermelon without wasting a single piece. Respect Food is all about getting the most out of food. And if there’s one piece of food that regularly goes to waste, it’s the humble watermelon. As a large fruit, watermelon isn’t particularly easy to store. And unless you’re serving a large party, there’s always some watermelon leftover after everyone’s had their piece. Hot summer days call for cool refreshments. 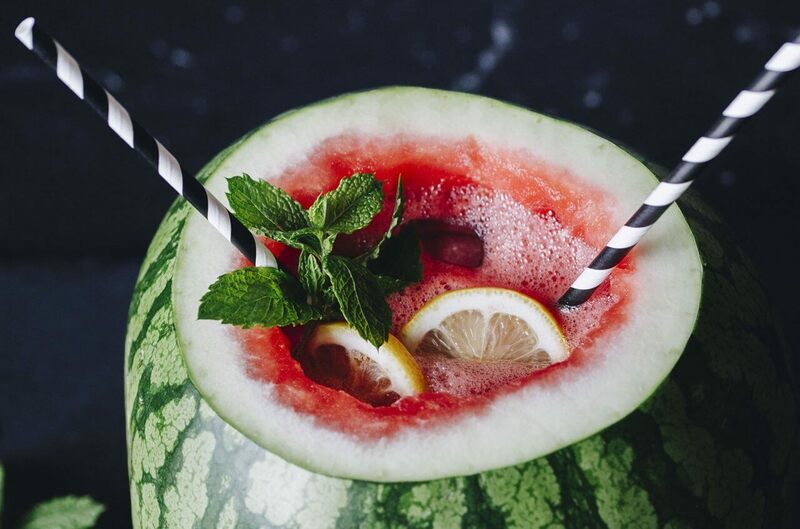 There’s no more unique way to serve your watermelon cocktails – than from the watermelon itself! Check out our Herb-infused Watermelon Drink recipe to find out how to prepare this delicious summer drink and use up most of your watermelon. Watermelon skin might not taste very good, but they sure make excellent fruit receptacles. Simply cut your watermelon in half, scoop out the watermelon flesh, cut it up and toss with your choice of berries, grapes and pineapple. Then dive your fruits salad between your two “watermelon bowls”, serve and wait for applause. While most people like to keep things simple when enjoying their watermelon, there are more creative ways to get the most out of this fruit. After firing up your grill, cut your watermelon into wedges, brush with olive oil and sprinkle it with salt and pepper. Then place it on your hot grill for about 90sec per side. Serve with crushed chilli and a drizzle of lime juice and honey. If lentils aren’t your thing, why not use your leftover watermelon to create a mouth-watering salsa? Simply chop the watermelon into pieces with onions, bell and jalapeno peppers, lime juice and a helping of salt and pepper. Then, crack open a bag of tortilla chips and dip into your new salsa. Ah, the rewards of respecting food. 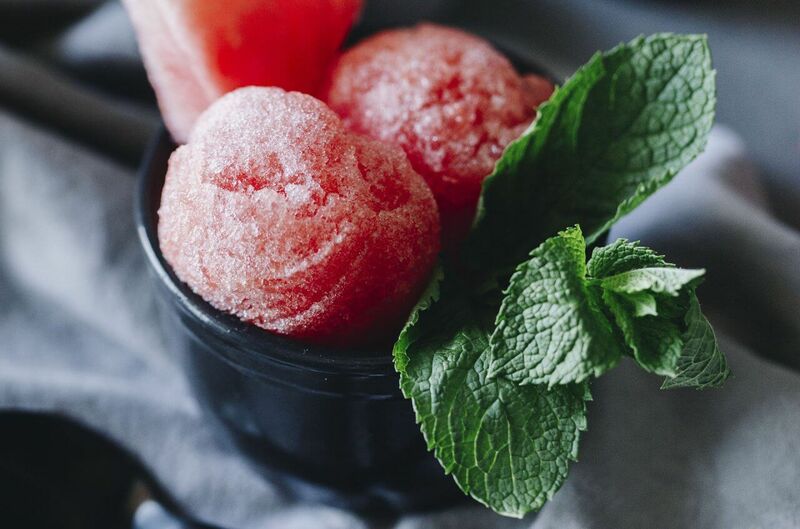 Making a summery sorbet is a great way to use every last drop of your watermelon. Head over to this simple and refreshing watermelon sorbet recipe to wrap your head around this deliciousness. You can use either fresh or frozen watermelon for this one. 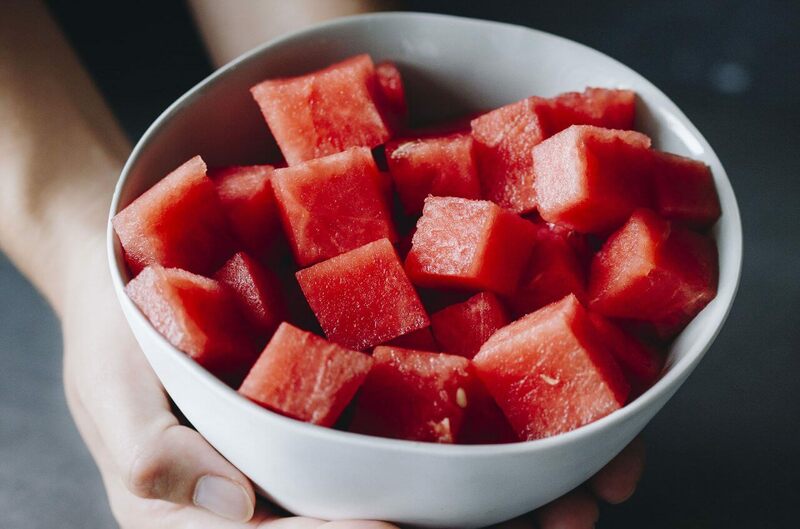 Simply cut your watermelon into manageable cubes, and blend with your favourite fruits. Hint: Watermelon and strawberries are a great combination. Add Greek yoghurt, fresh ginger and honey, blend, pour and enjoy. There are a whole bunch of really simple watermelon-inspired cocktail recipes out there. From frozen margarita’s to spritz’s to Mojito’s – watermelon cleary is a fruit made to be enjoyed during happy hour. If you end up with a few random slices of watermelon lying around, consider making a few sweet stick ice creams. Combine 2 cups of watermelon with 1 cup of rosé wine and 1/2 cup of strawberries. Blend thoroughly, pour into icicle moulds and freeze. Then simply take them out when you’re ready to enjoy. 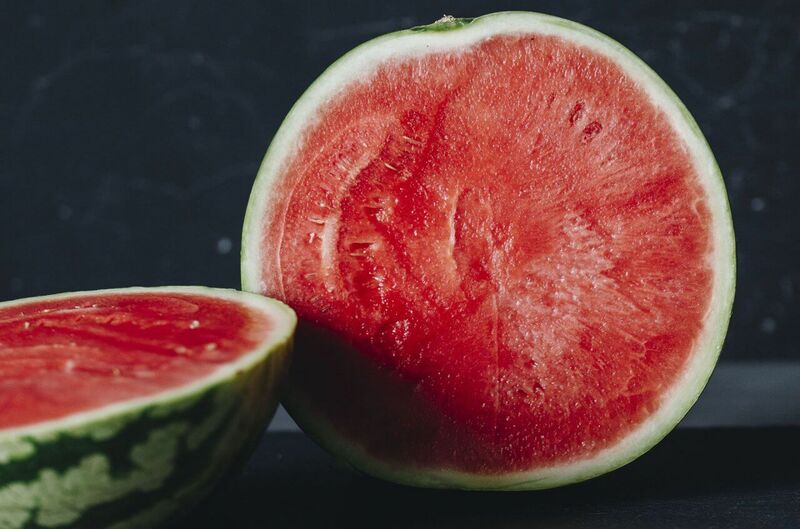 Before they’re sliced, watermelons like cooler environments. An air-conditioned room or basement, for example, are good places to store your watermelon. Fridges are fine too, but research suggests that room temperature watermelons contain more nutrients than their chilled counterparts. Once a watermelon is carved, however, try to use it all up within 2 to 3 days. As time passes, fridge chill will start to break down the watermelon flesh – and lose its texture. So when you need whole pieces of watermelon, use these first. Melon puree recipes are better served by using the watermelon a few days later. Make the most of your watermelon. From flesh to pip, you can really use every part of your watermelon and stop them from going to waste. Happy eating.